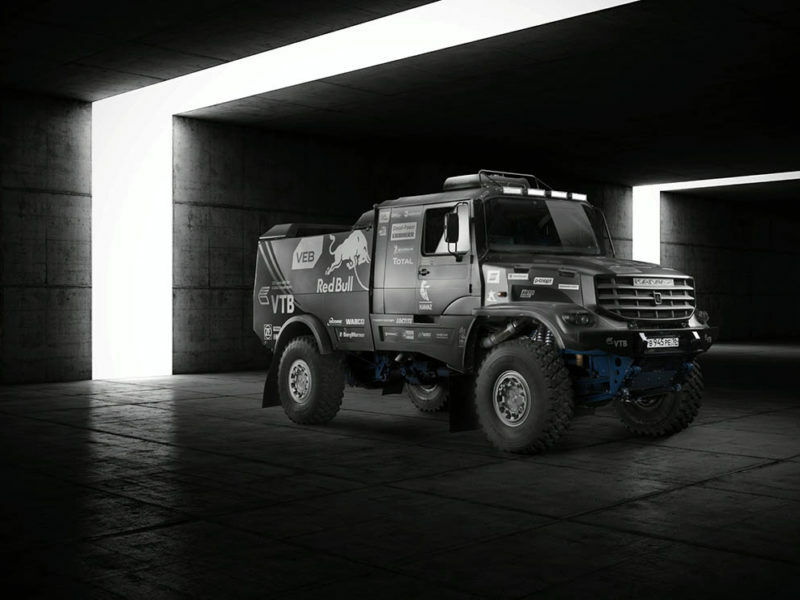 Russian truck legend Kamaz has unveiled the truck that it hopes will take the Red Bull-backed squad to a remarkable 14th victory on the Dakar Rally next year, which runs through some of the most inhospitable terrain in South America. 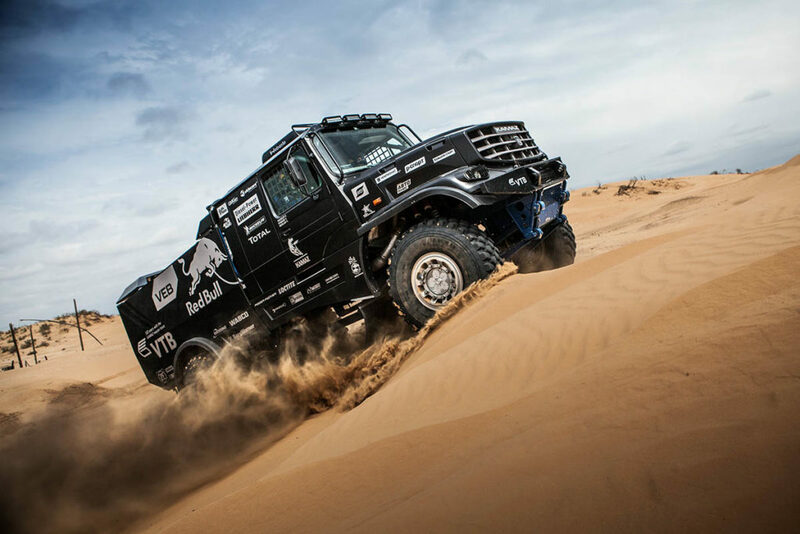 Before making the trip across the Atlantic, the new truck in stunning monochrome will make it’s first international appearance in the upcoming Silk Way Rally taking place this July. 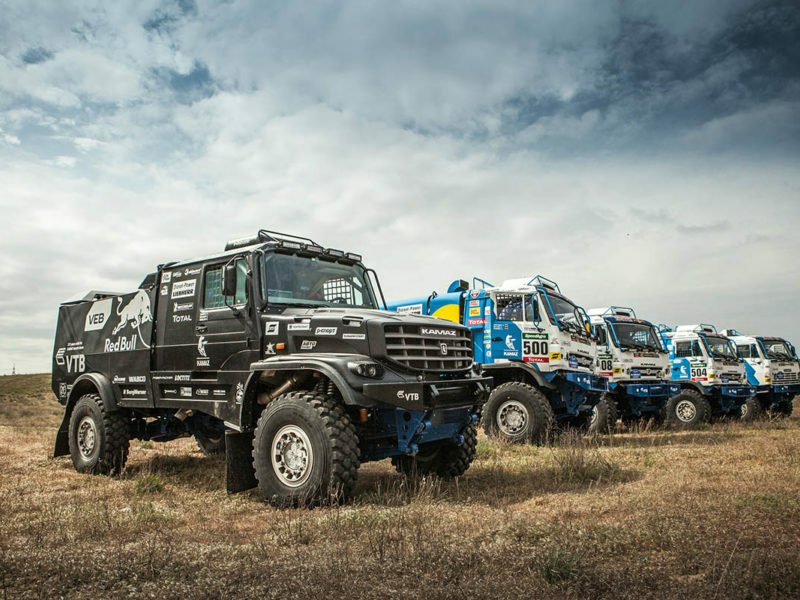 From 8 – 24 July, Team Kamaz will race from Moscow through Kazakhstan to Beijing – covering over 10,000km in 15 stages. 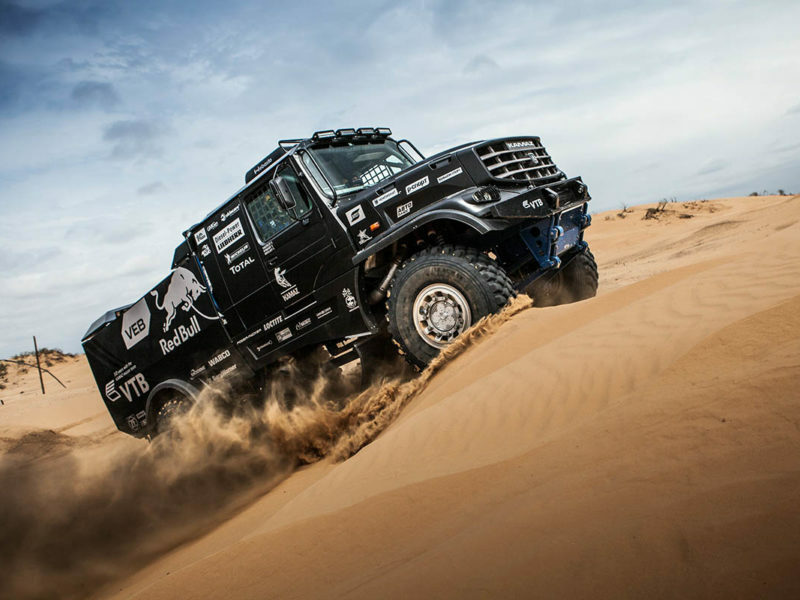 The Silk Way Rally will be the team’s biggest challenge and best opportunity to test its new weapon before the South American adventure next January. 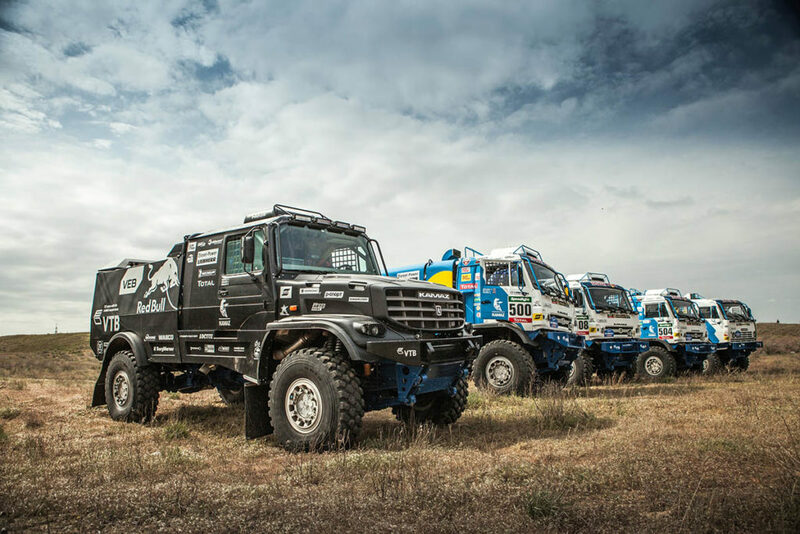 Giving the new truck its debut in Russia was Eduard Nikolaev: a two-time Dakar winner with Kamaz, who has finished on the podium an additional five times with the Russian marque. 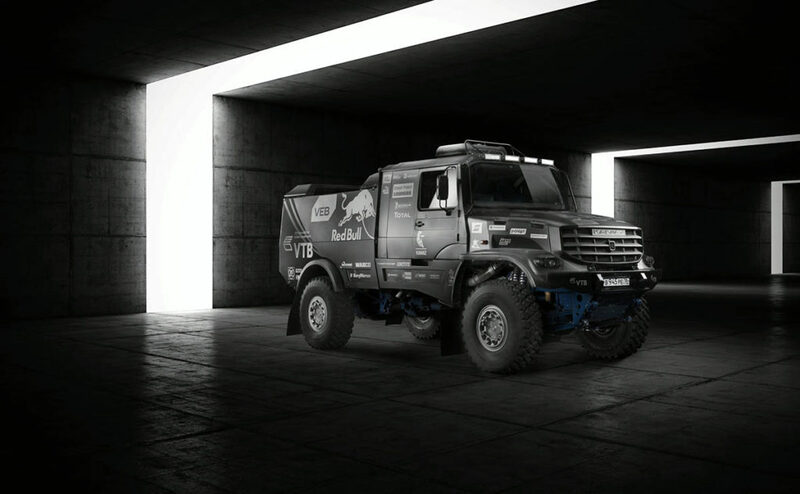 Rather than its usual prominent blue and white livery, the new Kamaz ran in Russia with an interim black Red Bull ‘stealth livery’. In the belly of the beast is a 1000-litre fuel tank, which enables it to keep going all day – and much of the night. Putting the 980-horsepower on the ground is a 16-speed ZF transmission. The upcoming months will be key for the team as they put their new truck to test in every occasion possible. Next up will be the Silk Way Rally starting on 8 July from Moscow.